This is Nyaha from Tokyo. It’s nice to see you in this New Year again. Fuki! Thank you for updating our blog with a picture of sun rise in Nepal. I hope such brightness would fall in 2011 for all! 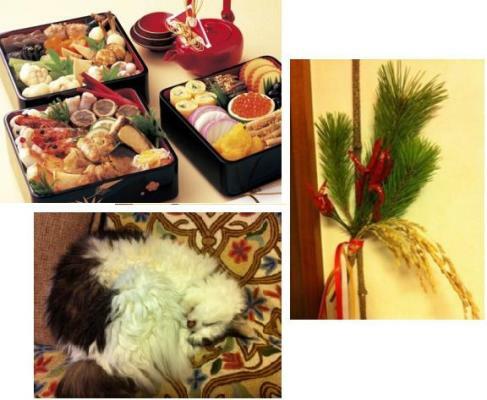 While Fuki was traveling during New Year's holidays, I stayed at home in Tokyo, ate traditional New Year’s food “Osechi” with my family and played with our cats. Today I would like to show you some pictures of JF supporters club event held in December last year. We invited Mr. Vladimir Vasiliev from Russia, who worked as an assistant director of the film “Dersu Uzala ”. 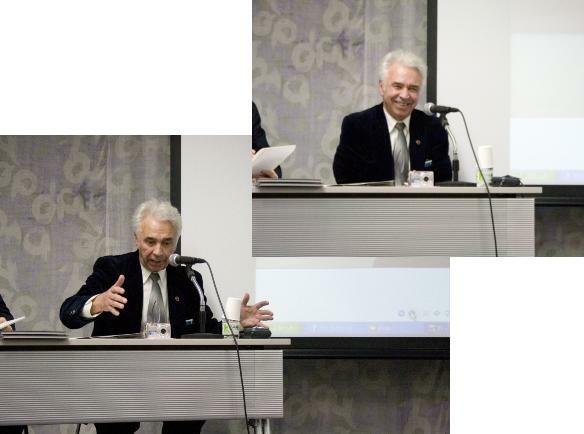 He told us interesting stories about how Russian stuffs cooperated for Kurosawa’s “Dersu”. he warmly greeted him from the stage. 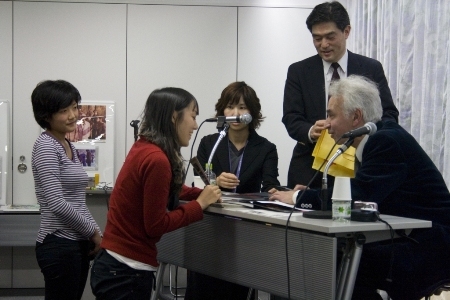 And also he kindly gave his new book about Kurosawa to the audience chosen in a drawing. It was a great surprise present! 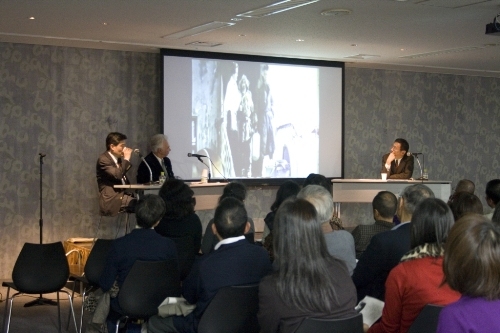 many people who are interested in his works or who have worked near the director came to our event. "Kurosawa" never lost his attraction but continues to this day. 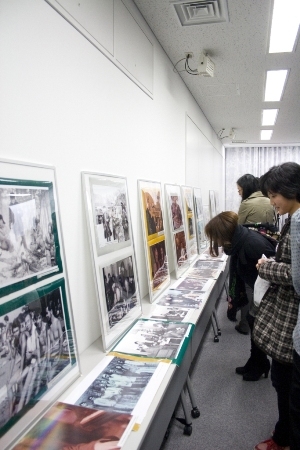 More report about the event will be published on Wochikochi Web magazine next month (only in Japanese for now, sorry!)! Thank you for your reading. The next is Nascha. 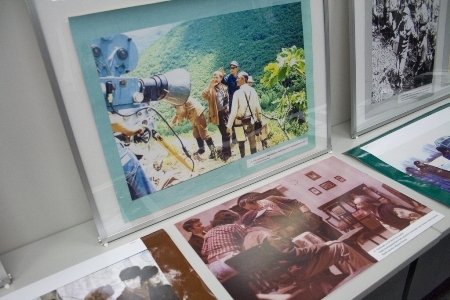 Photo panels of the set of "Dersu Uzala".